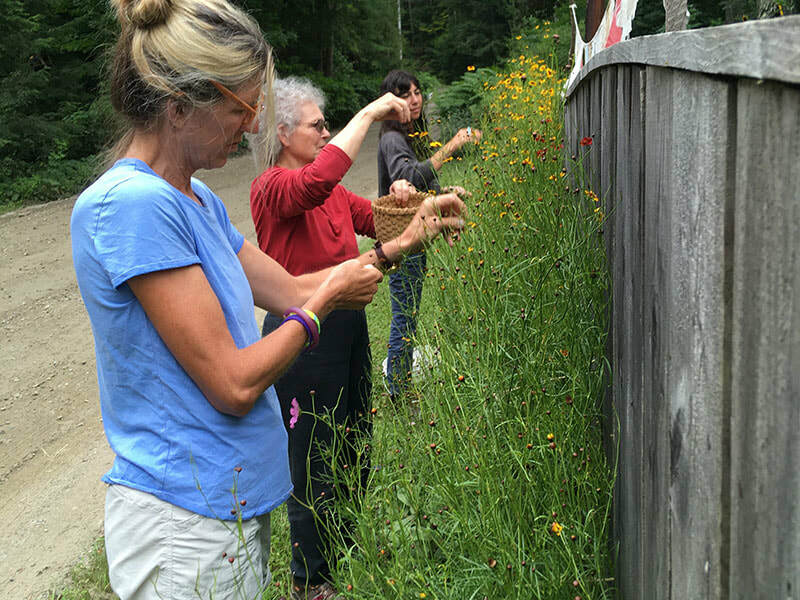 Check back in early spring for 2019 workshops and dates. If you know you are interested in advance, please contact Hannah at skylikesnow@gmail.com with date preferences. 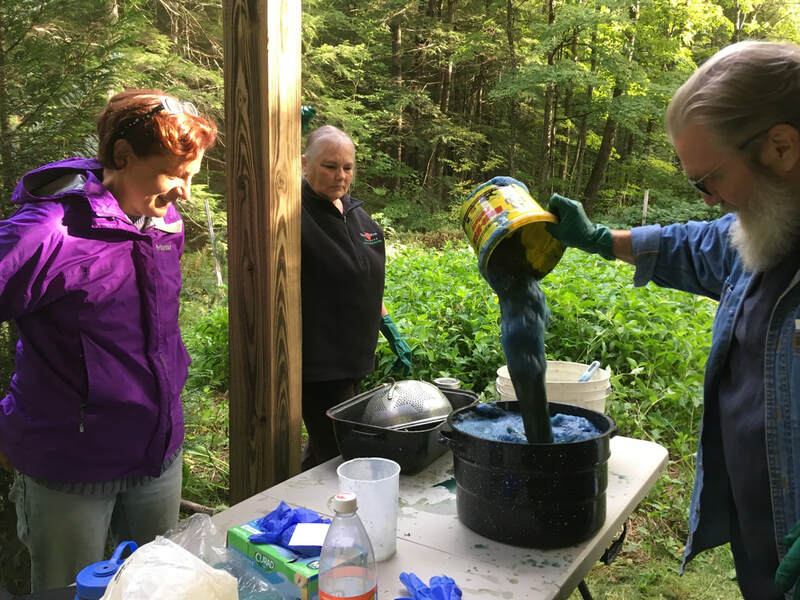 These two weekend workshops will immerse you in the practice of foraging for dye materials from the local fields and forests, as well as introduce you to dye gardening. 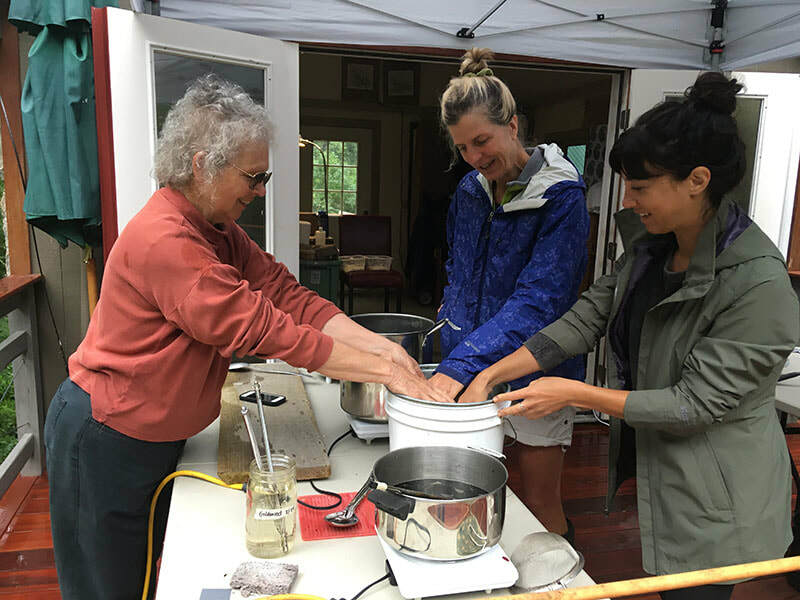 We will discover and collect from the abundance of seasonal flowers, leaves, roots, mushrooms and lichen that grows around my southern Vermont studio and dye with what we bring back. 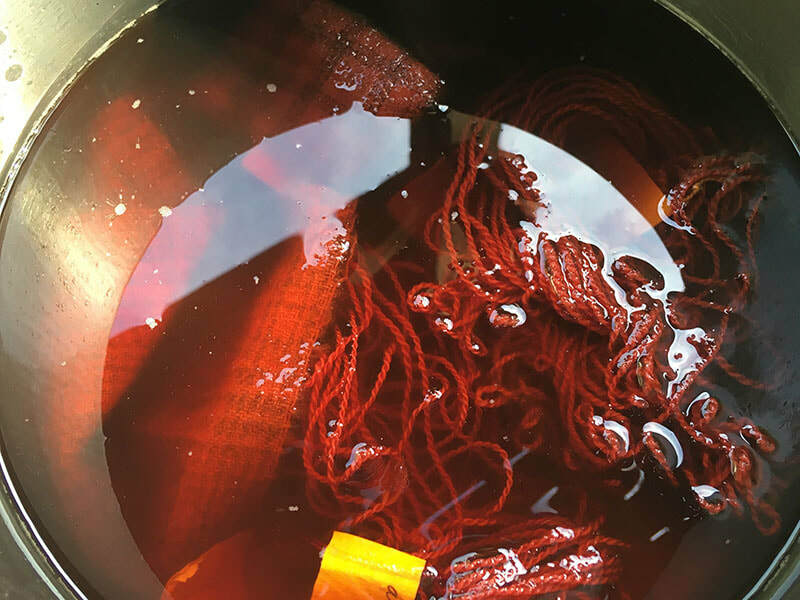 We will progress through the full natural dyeing process from mordanting fibers, making dye solutions of different concentrations, and seeing what colors emerge. 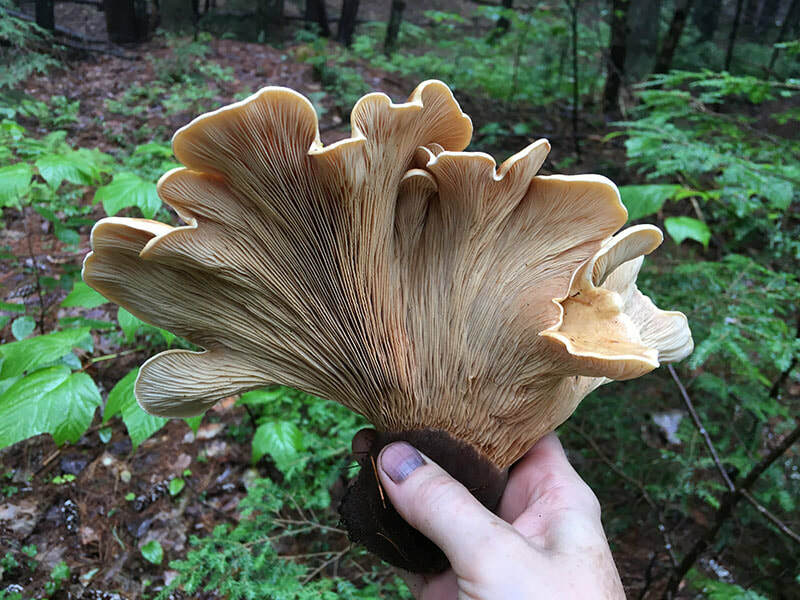 Topics covered will include: ethical foraging practices, methods of preserving different dye materials to retain color potential, extraction techniques, dyeing and over-dyeing for a range of colors, and color and light fastness. I will encourage you to be curious and explore and play! 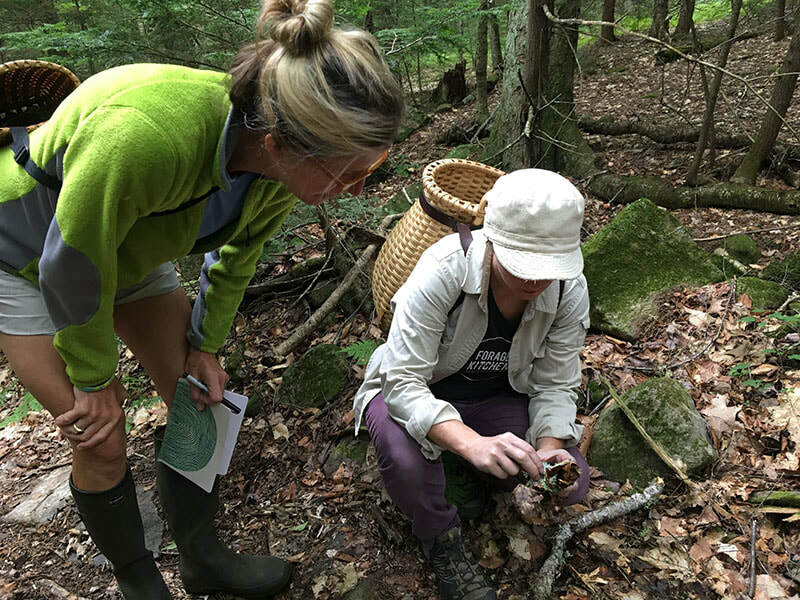 We will be spending several hours outside foraging and harvesting off of trails, on uneven ground in unknown weather conditions! The dye studio setup also blends between indoor and outdoor spaces with a possibility of mosquito encounters in some weather conditions. I will provide various bug repellants for everyone to use. When you register, let me know if you have any dietary constraints. We can accomodate GF, vegan and food allergies if we know in advance! See this page for information on area accommodations for anyone coming from out of town. Allergy note: Although she will not be here during the workshop and the entire place will be cleaned, there is a dog who lives in my house. 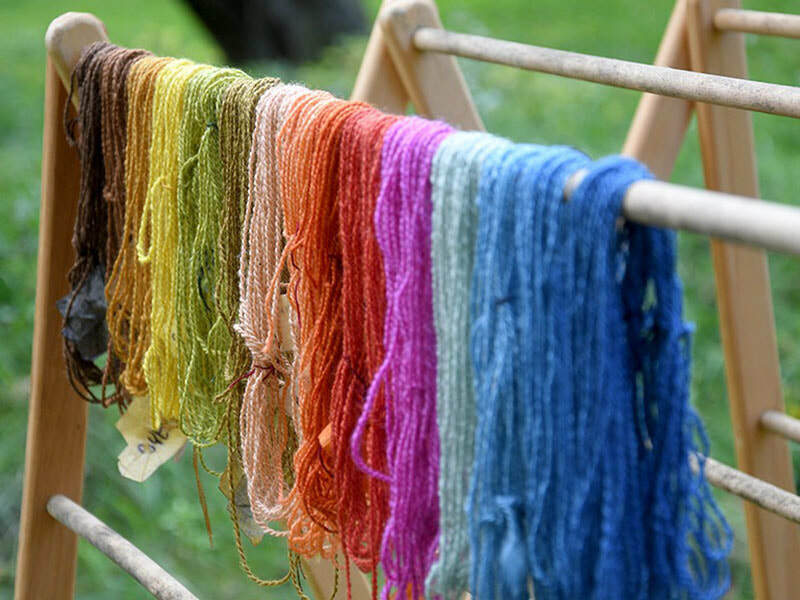 For more experienced dyers/fiber lovers: Up to 2 oz. / 50 gm. 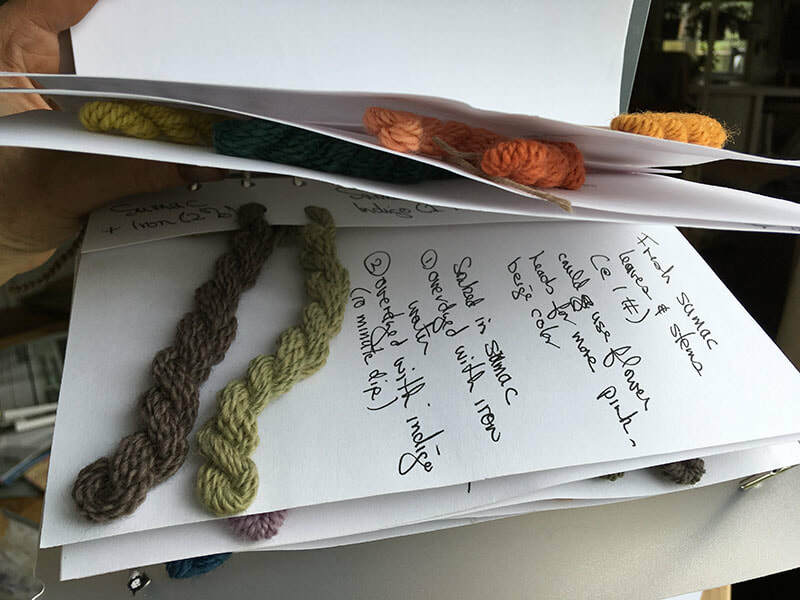 of your own undyed, scoured, protein-fiber yarn or fabric (i.e. 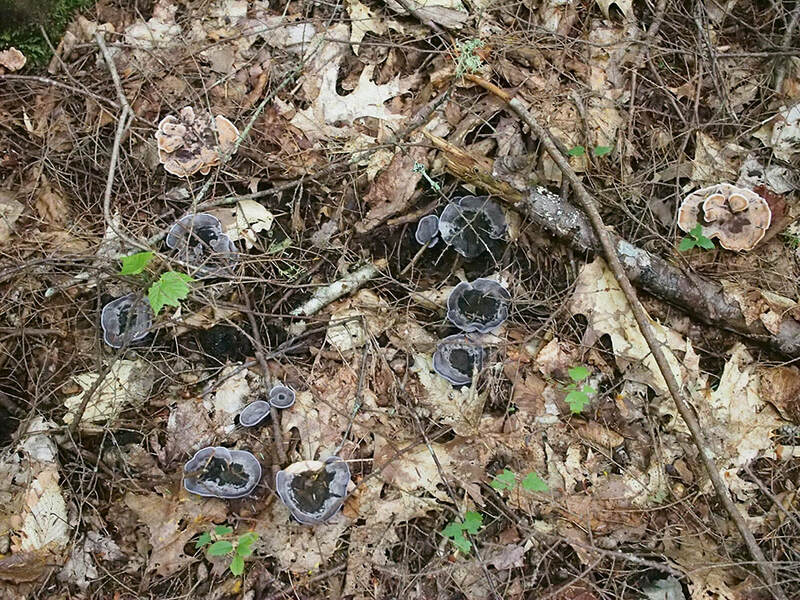 from any wool-bearing animal and/or silk) to dye. It would be best to wind yarn into ~5 gm. 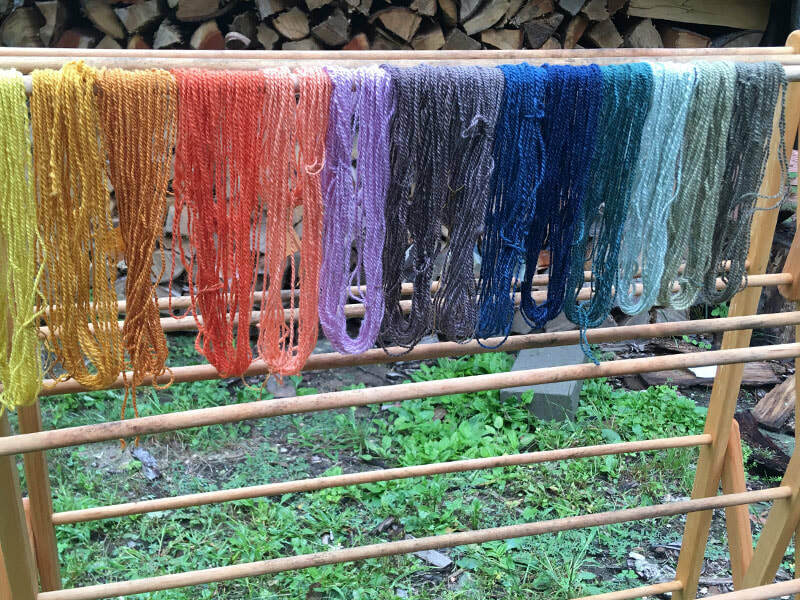 mini skeins for the dyeing we are doing. I can send scouring instructions to anyone who needs them. Space is limited to 6 participants per workshop. 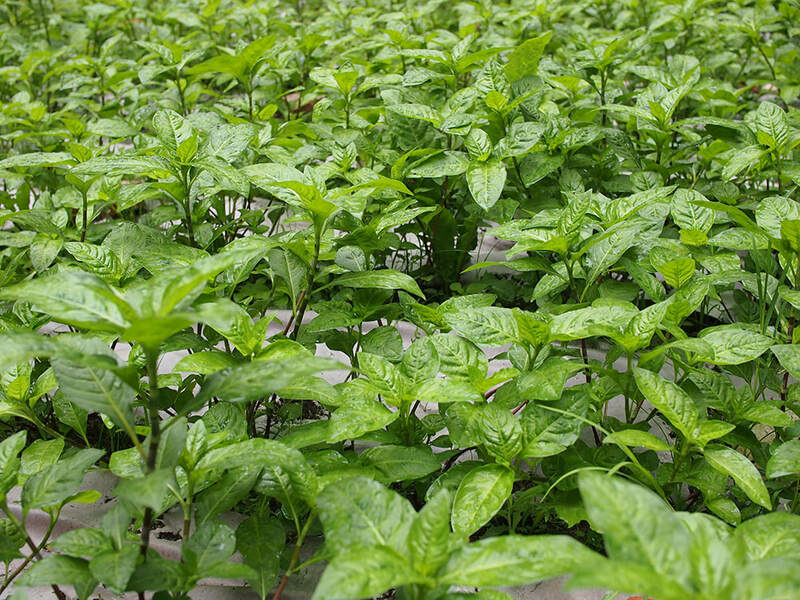 No experience necessary, but varying fiber and dyeing experience welcomed! Email any questions to Hannah at skylikesnow@gmail.com.